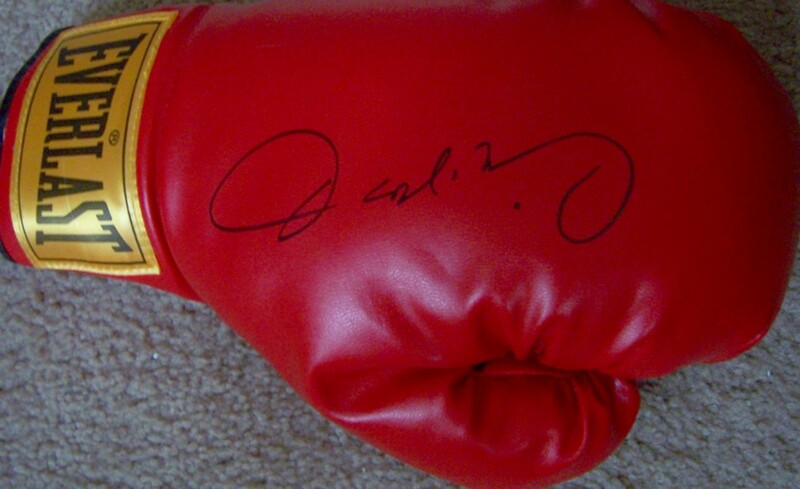 Everlast leather boxing glove autographed in black Sharpie by legendary champion Oscar De La Hoya. 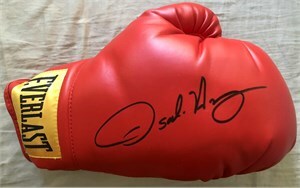 Obtained in person at celebrity golf tournament. With photo of him signing at the tournament and certificate of authenticity from AutographsForSale.com.